The Ram Janmbhoomi is something that has become the nationwide topic of discussion and many times the statements of the leaders drives the issue to worst of it. 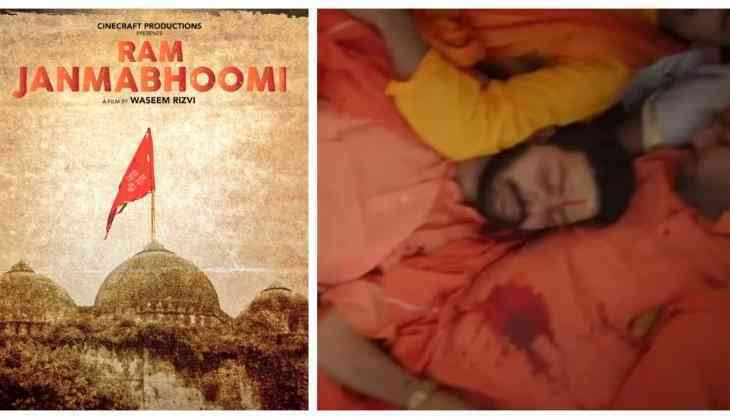 Now the trailer of the first film made on Ram Janmbhoomi was released in Lucknow and this movie actually discloses the political agenda behind Ram Mandir. However, in many parts, you will feel this something a BJP agenda film in which you will see many of their decision against Muslims, like Halala and Triple Talaq. The interesting thing is that the film has made by a Muslim himself 'Waseem Rizvi'. Let us tell you Waseem Rizvi is the chairman of Shia Waqf board and he in previously also had given some controversial statements on Ram Janmbhoomi. For that, he had to face the tough remarks from Muslim organizations, however, despite that he always has tried to support Hindus in Ram Mandir issue.